By Rahul Mistry in Artwork. Updated on December 21, 2018 . 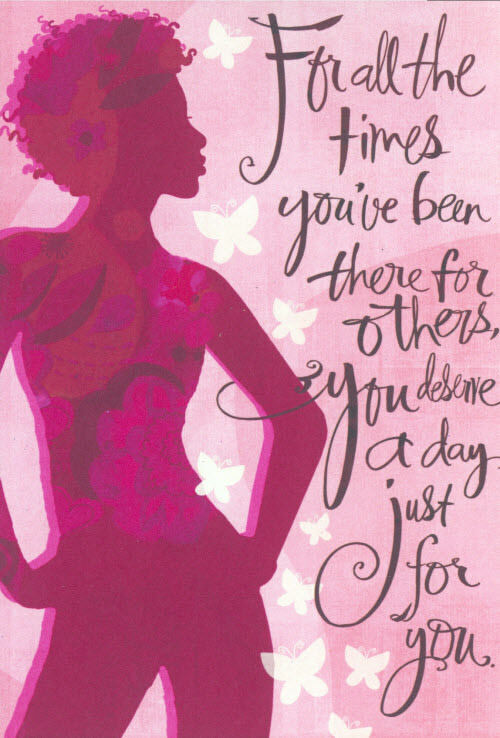 Greeting cards have been around for hundreds of years dating back to ancient China and Egypt. It’s how human express their sense of thankfulness and appreciation, even until this era of technology when people are still sending the greeting cards, just with more options like sending what’s so-called “electronic cards”. Yes, sending greeting cards is one of the cultures that survived through the last century. The following article looks at how card designs have changed over the decades starting from the 1900s to the current day. 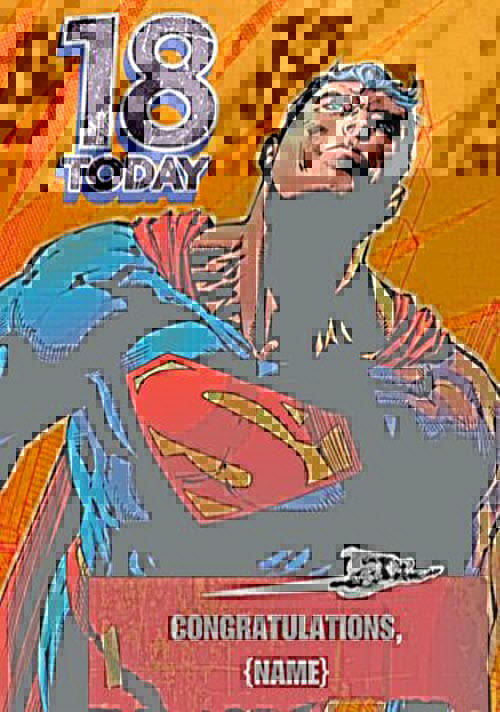 You can observe how the greeting card designs change with the major events of our world, and essentially getting that how politics, fashions, war, and other elements influence the card designs. Besides, here are posts about different cards for you to enjoy! Picture postcards were originally created in Austria in early 1869 but became a national favorite in America thirty years later. In a decade deprived of TV and radios, picture postcards provided a cheap glimpse of the outside world. 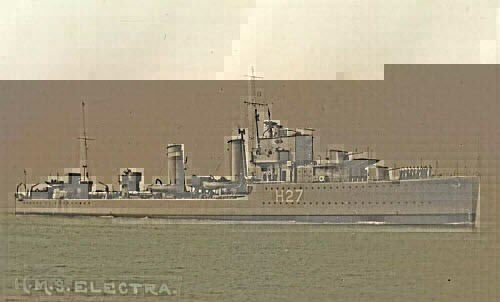 Many of the postcards were also being designed in Germany using innovative lithographic production techniques which meant that a lot of the designs like the one below had a Germanic influence. 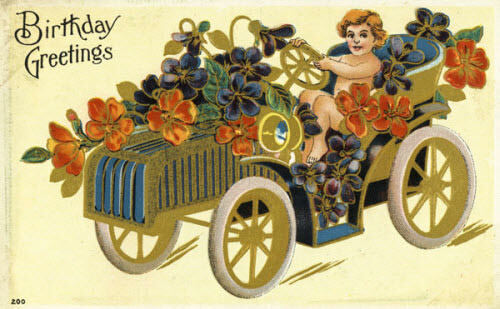 The below postcard design illustrates the famous German Kan automobile manufactured in the early 20th century. 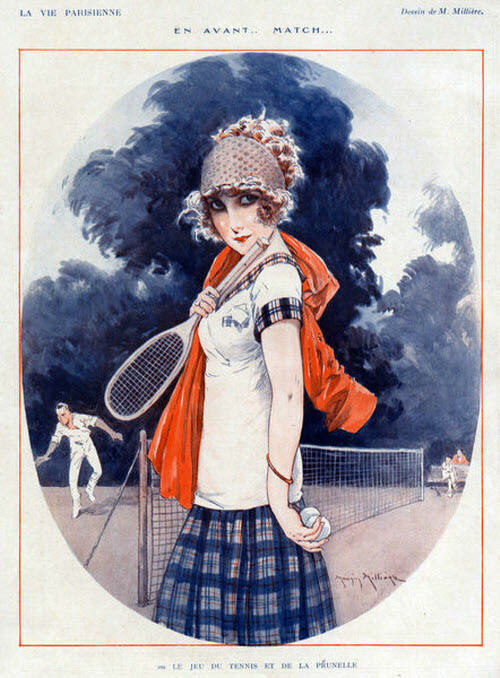 Also, note the blue-eyed and blonde-haired girl with a very East European look. By the 1920s, America had become the wealthiest nation on the planet. 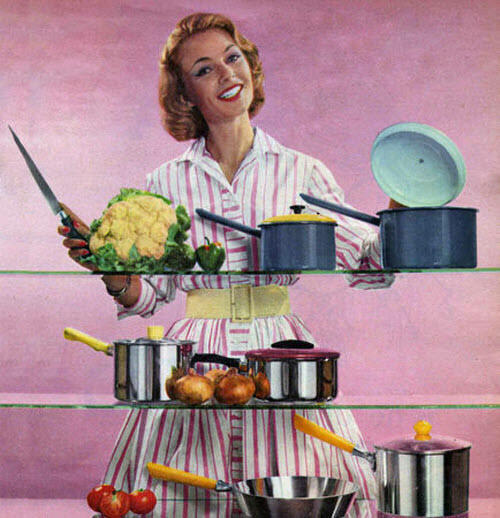 America based its strength and power on its immensely successful economy, which saw the mass production of radios (around 10 million units being sold in 1929), fridges, hoovers and telephones. 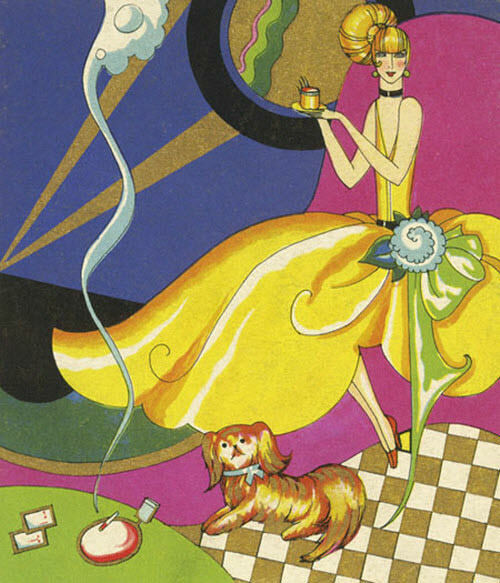 Below is an example of a popular greeting card depicting a young fashionable lady wearing the latest styles of the times and advertising makeup products, cigarettes and coffee, a clear sign of the riches enjoyed from the blossoming American economy. Gone are the Germanic, European influenced card designs, and in their place is a strong American identity. The cards had also evolved from postcards to greeting cards, meaning people could send and receive beautiful cards for every occasion. Sadly, by 1929 the “Wall Street Crash” occurred and its impact was felt globally. The 1930s was a decade when America suffered great struggle and poverty, with the American dream turning into a nightmare. For card designs, the Hall Brothers was experimenting with innovative printing techniques and finishes, bringing the designs to life. 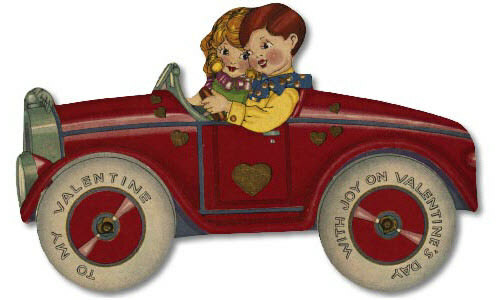 The above example shows the “die-cut” technique where the wheels of the car turn 360 degrees, which at the time was a huge (excuse the pun), turning point in greeting card designs. America was at war and with it grew a sense of American patriotism. Norman Rockwell was the most famous American illustrator at the time and designed a lot of the most popular greeting cards. It was the first time ever that greeting card designs had evolved to become a very realistic and naturalistic portrait of American life. 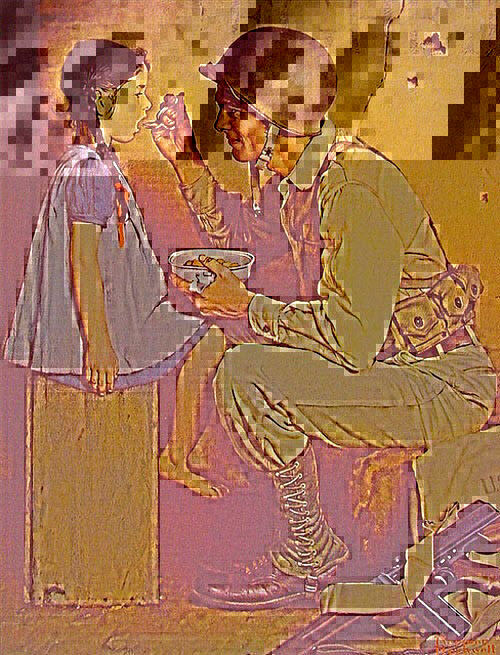 Below is a Norman Rockwell design depicting a realistic looking American Soldier feeding and nursing a child back to health. The politics of the war reflected heavily in the design of the cards and a real sense of American values and beliefs were being portrayed to the American public. The end of World War II saw many young soldiers return back to America to begin their new lives, start new jobs and raise new families. With the American industry reborn, the baby boom era had begun. 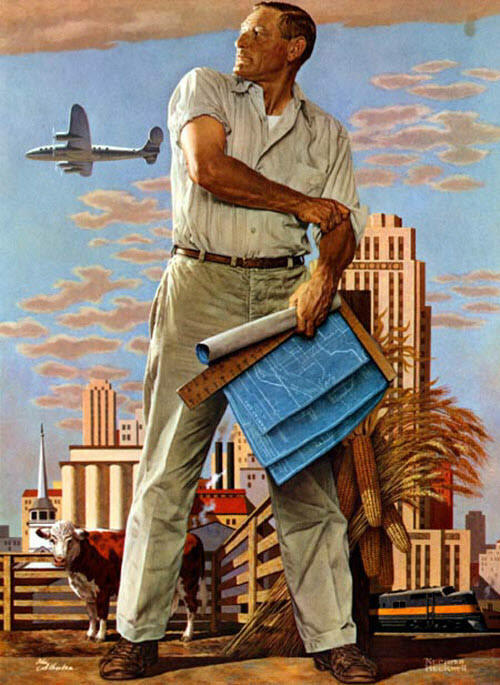 The Rockwell’s greeting card above was a fitting image for America’s globalization and growth. The painting depicts a realistic looking Kansas farmer looking out across the Pacific Ocean towards the rest of the world. In the background are skyscrapers, trains, planes and livestock. These greeting cards were, in many ways, a portrait of a new super power and American and western culture. The 60s was a decade of fashion and free love. Greeting cards were also embarking on a creative revolution by using genuine photographs of people on all their front covers. 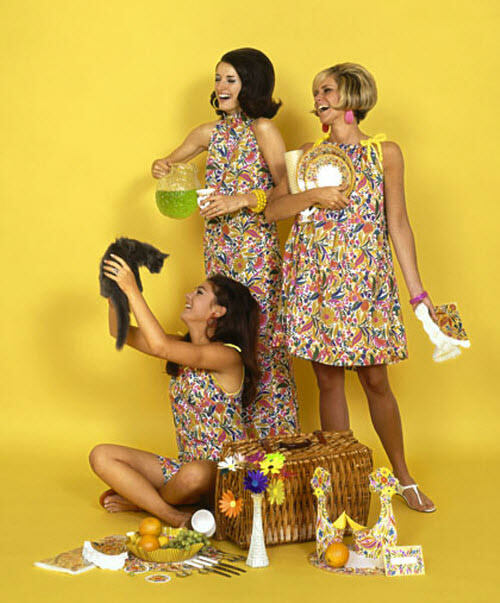 The card below depicts three attractive, hip-looking girls, wearing the latest fashions. Flower power had hit the world and again greeting cards moved with the time, reflecting the fashions and mood through popular card designs. 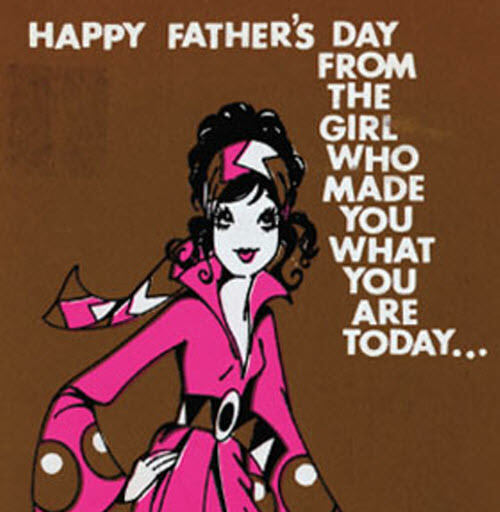 This popular 1973 greeting card design is a laminated illustration showing a cartoon of a hippy in flares. 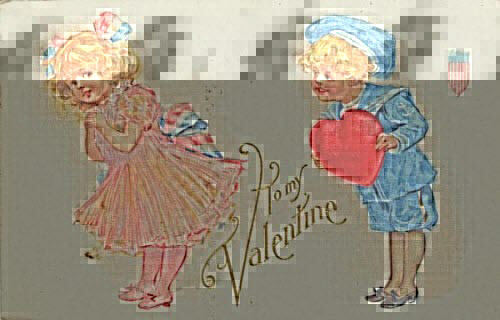 The colors used in the card are vintage, reflecting the fashion of the decade. This period was a revolutionary time for traditional card manufacturers. 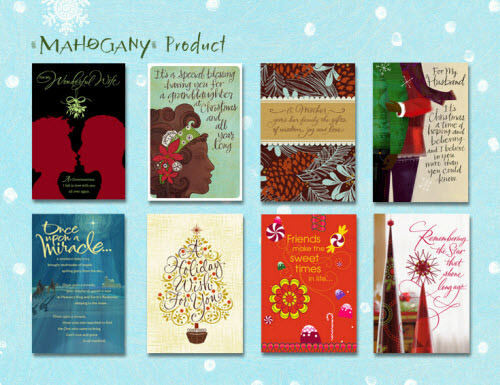 Responding to changes in consumer behavior and patterns, companies such as American Greetings cards and Hallmark cards diversified their range to meet the needs of different ethnic groups. In 1987 Hallmark launched its “Mahogany range” focusing on the single African American mothers with a 16 word promotional line. The response for the Mahogany range was hugely popular and soon became a permanent year-round card line. 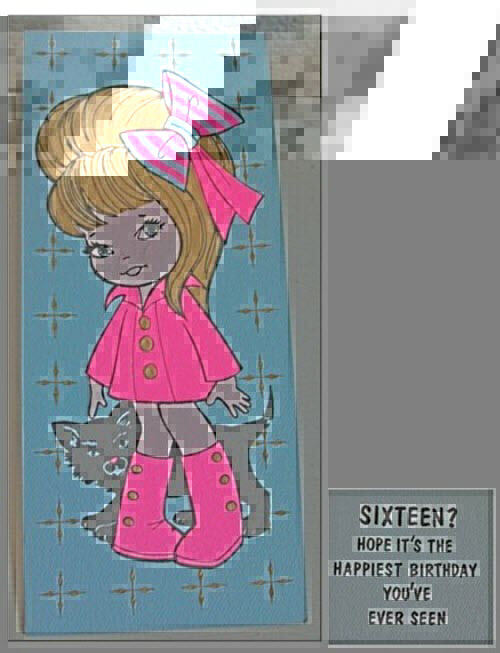 The Image below shows one of the cards used for African American consumers with an image of a mother with a blend of realism using pastels and crayons. During the 1990s, evolved market segmentation further prompting the American Greetings cards company to offer a new line of Spanish-language greeting cards aimed at the growing Hispanic population in the United States. These were known as the “Momentos de Inspiracion” and “Spanish Soft Touch lines”. Cards above are simple designs which move away from North American culture. These cards were designed to represent the Spanish culture. 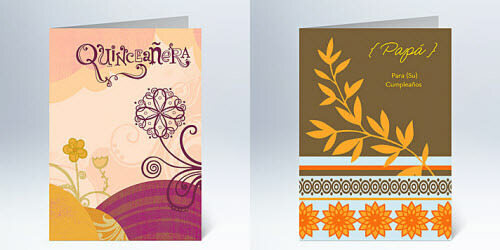 One of the above images is a Father’s day card with a rich blend of colors symbolizing Hispanic culture. 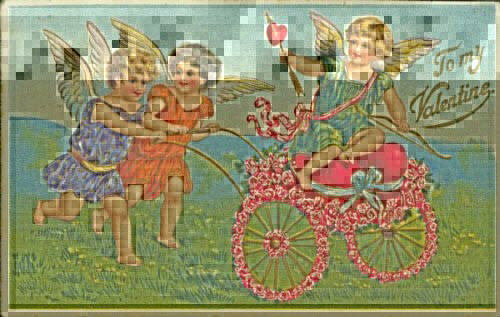 At the beginning of the 21st Century, technologies such as the camera and the Internet revolutionized greeting cards. Consumers became more environmentally aware and this influenced the way in which many cards were being produced and designed. The e-card, having been successfully fueled by the arrival of the Internet, enabled cards to be truly personalized in ways that we could have only dreamt of 20 years ago. The computer allows an individual to create & deliver truly personalized cards through the click of a button without ever leaving the house. In 2008 greeting cards changed once again, this time taking a digital form where smartphone users could send and receive greeting “cards,” through innovative mobile applications. Unlike any previous greeting cards, the new format is digital where birthday cards could be sent online, printed and received by the recipients the next working day. The designs were colorful and funny, with the images ranging from actual photographs taken on a camera to caricatures to animated movie characters from the Disney Universe or Marvel Comics. The cards also allow users to edit the messages on its certain part. By 2010 greeting cards had fully joined the digital revolution. 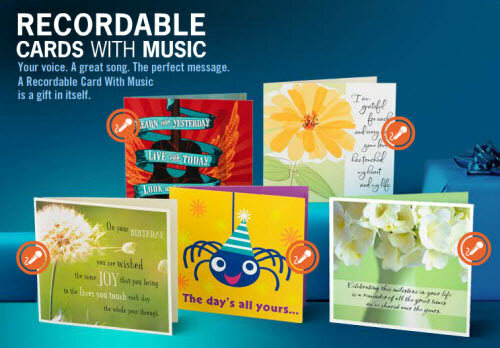 Greeting card designs had evolved and taken on new forms allowing users to customize every aspect of the card from the text, images, photos, fonts, and some of them even allow you to record your own personal voice messages!